Macau-based Studio City, part of Lawrence Ho’s $9 bln gambling empire, made a stellar New York debut with a 24 pct pop. The listing provides some needed capital and could help existing minority investors eventually stage an exit. It also features Melco’s costly complex structure. 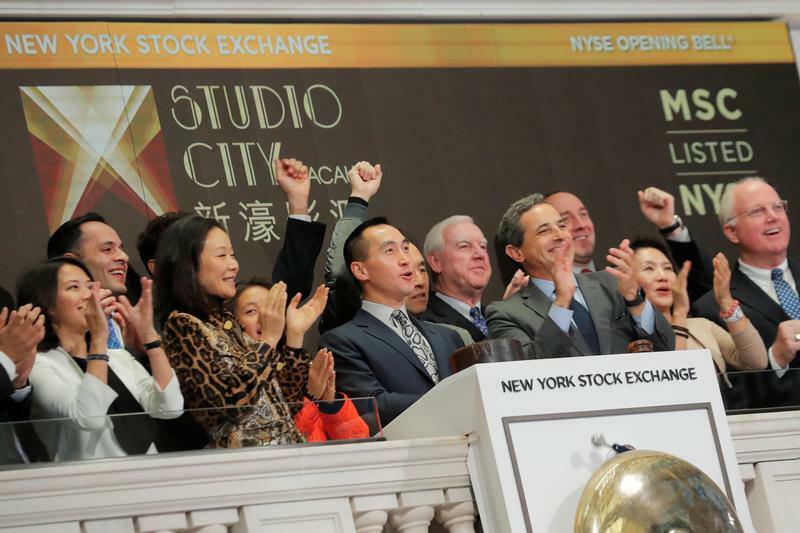 Studio City International Holdings Chairman, Lawrence Yau Lung Ho rings the opening bell to celebrate his company's IPO at the New York Stock Exchange (NYSE) in New York, U.S., October 18, 2018. American depositary shares of Studio City International Holdings, operator of a casino and resort in Macau, closed up 24 percent at $15.50 each after the company raised about $360 million in an initial public offering on the New York Stock Exchange on Oct. 18. The company was spun out of the larger Melco empire. MCE Cotai – controlled by Melco Resorts & Entertainment – bought about 53 percent of the Studio City offering, while affiliates of an existing minority shareholder bought almost 36 percent.